I am still chugging along finishing my second notebook for 52 Favorites. 52 Favorites is a project I heard about last year from Paper Issues with the idea being to document 1 favorite thing/moment/memory for each week. I started mid-January last year in a traveler's notebook format and have loved working on it. I finished one notebook for the first half of the year and have the second notebook about half done. 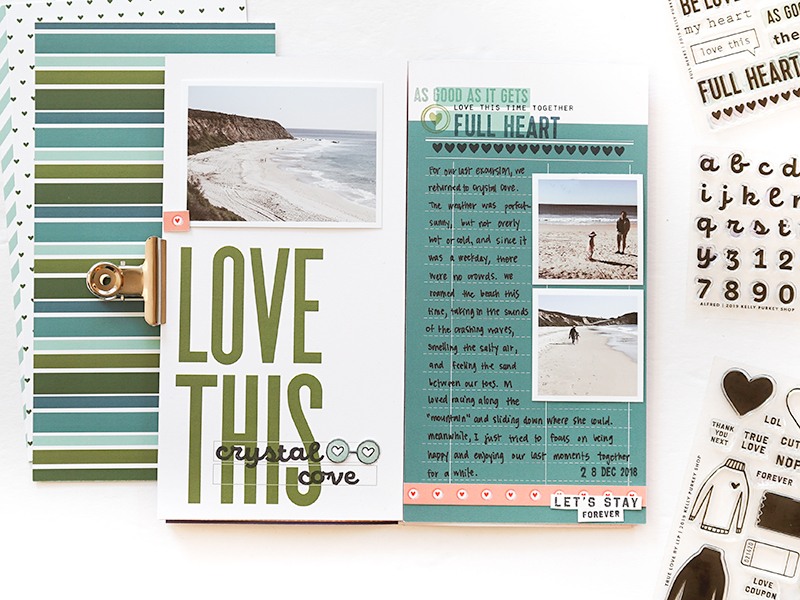 I used the newly released Full Heart Traveler's Notebook kit from Kelly Purkey Shop to document week 52. We took a day trip to Crystal Cove State Park and I loved walking around the beach with my family. After adhering my photos, I wrote my journaling out. I used the included stamp set from the kit to stamp out the sentiments at the top of the page for a title. 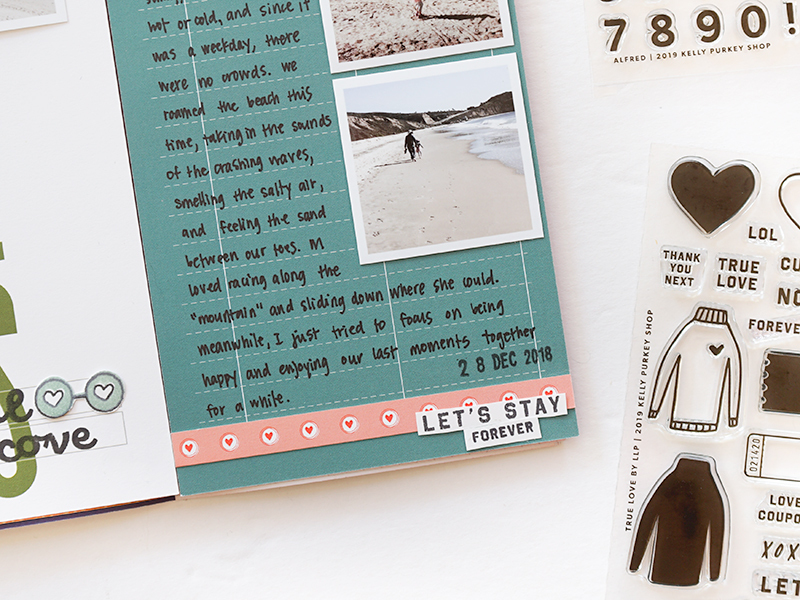 The "Love this time together" sentiment is from the Date Night stamp. 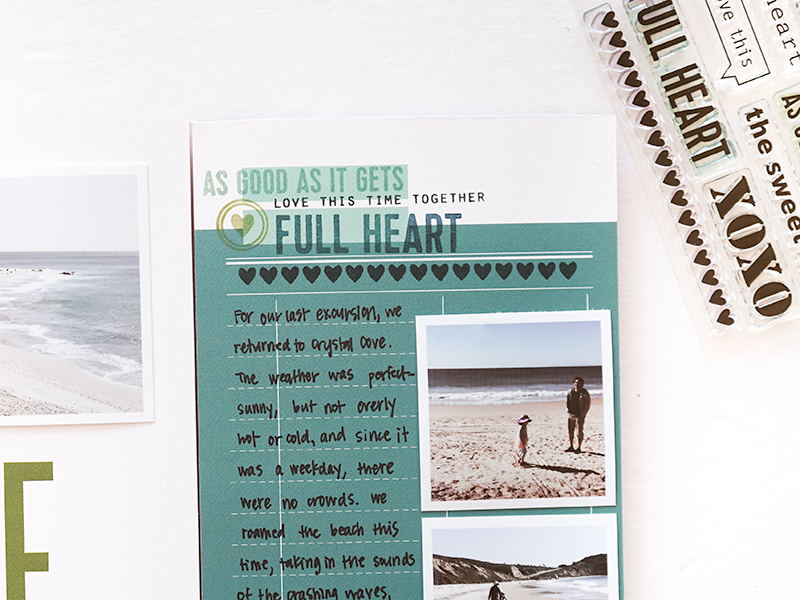 I cut out a strip of the pretty pink heart patterned paper from the kit to add some extra color to the photos and pages. 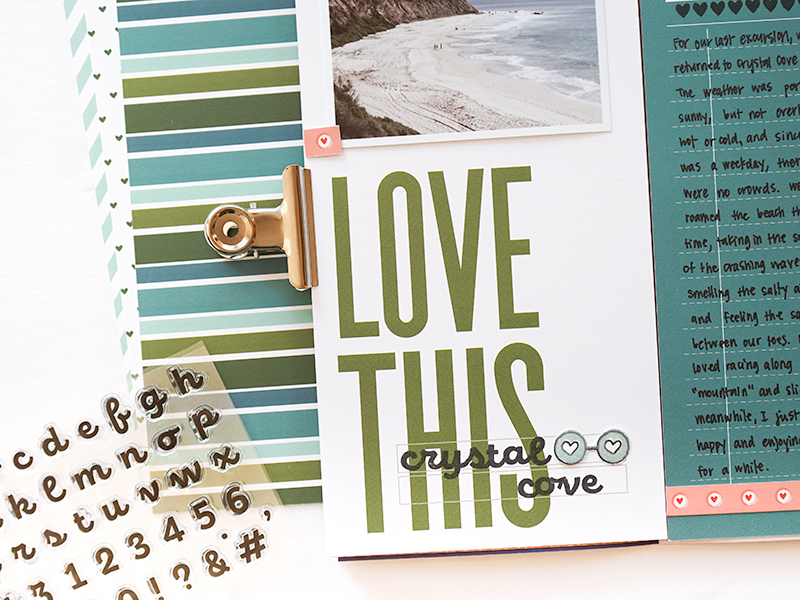 There's a lovely cursive alphabet stamp in this month's release called Alfred which I used to spell out "Crystal Cove" on the opposite page. I additionally added the heart glasses from the True Love stamp set (cut out as a die cut) and the "Let's stay forever" words from the same set. I've still got a lot of papers left from the kit so I'm sure I'll be able to make a few more spreads!